Gorgeous! I love that pattern. 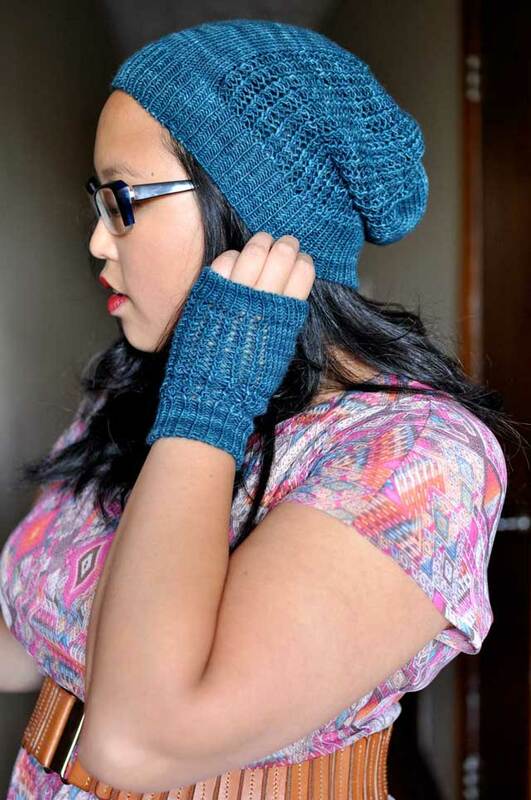 They look great in that yarn! I am asking myself why I haven’t knit a pair of monkeys yet! The socks look wonderful….Mountains in the Moonlight…one of the first (and most favorite) colourways I’ve ever hand painted. 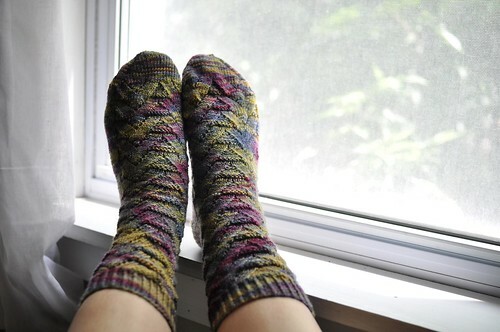 Thanks so much for showing off your beautiful socks! Most impressive. But isn’t it just a wee bit annoying that handknitted socks are usually hidden under other clothing? Really, one almost wants to put socks like these on one’s hands so that the world will notice! They look fantastic. Thanks for the inspiration. I cast on for a pair… but didn’t get further than the cuff. I must go dig them out and get moving. Wear them well! Wow, the yarn is gorgeous! Great result! They are gorgeous! I love that pattern! What lovely colors! 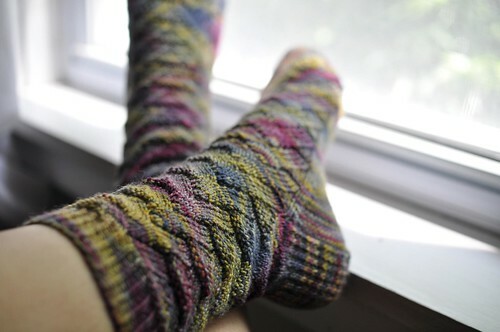 I’ve made that pattern twice, though toe up…and I really enjoyed it. Very cool colorway choice.